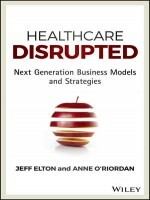 Healthcare Disrupted is an in-depth look at the disruptive forces driving change in the the healthcare industry and provides guide for defining new operating and business models in response to these profound changes. Based on original research conducted by Accenture and years of experience working with the most successful companies in the industry, healthcare experts Jeff Elton and Anne O’Riordan provide an informed, insightful view of the state of the industry, what's to come, and new emerging business models for life sciences companies play a different role from the past in to driving superior outcomes for patients and playing a bigger role in creating greater value for healthcare overall. Their book explains how critical global healthcare trends are challenging legacy strategies and business models, and examines why historical leaders in the industy must evolve, to stay relevant and compete with new entrants. Healthcare Disrupted captures this pivotal point in time to give executives and senior managers across pharmaceutical, biopharmaceutical, medical device, medical diagnostics, digital technology, and health services companies an opportunity to step back and consider the changing landscape. This book gives companies options for how to adapt and stay relevant and outlines four new business models that can drive sustainable growth and performance. It demonstrates how real-world data (from Electronic Medical Records, health wearables, Internet of Things, digital media, social media, and other sources) is combining with scalable technologies and advanced analytics to fundamentally change how and where healthcare is delivered, bridging to the health of populations, and broadening the resposibility for both. 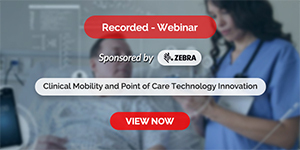 It reveals how this shift in healthcare delivery will significantly improve patient outcomes and the value health systems realize.